This a movie review of THE CAT RETURNS. Opening on a beautiful house as if from a fairy tale with a cat looking out of the window dressed in top hat and tails, he, Baron Humbert, says in a cut-glass voice, “If you find yourself troubled by something mysterious or a problem that’s hard to solve, there’s a place you can go where you always find help. You just need to look for it.” Then the scene cuts to the world we are accustomed to and a cow alarm clock waking a seventeen year old girl who is late for school. This juxtaposition between the real and the magical reminds of THE WIZARD OF OZ and MIRRORMASK as a coming-of-age story. 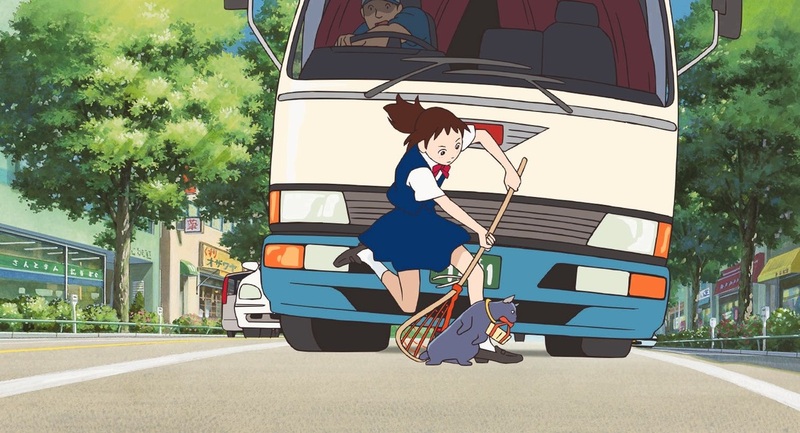 On the way home from school Haru (voiced by Anne Hathaway: THE PRINCESS DIARIES, THE DEVIL WEARS PRADA and BROKEBACK MOUNTAIN) saves a cat, who is crossing the street, in a brave and daring lacrosse move scooping up the feline and depositing him safely on the other side. The cat then proceeds to stand on his hind legs and thank Haru. Now a reasonably normal person would think this is a dream or perhaps a hallucination, but Haru has a history of speaking to cats. 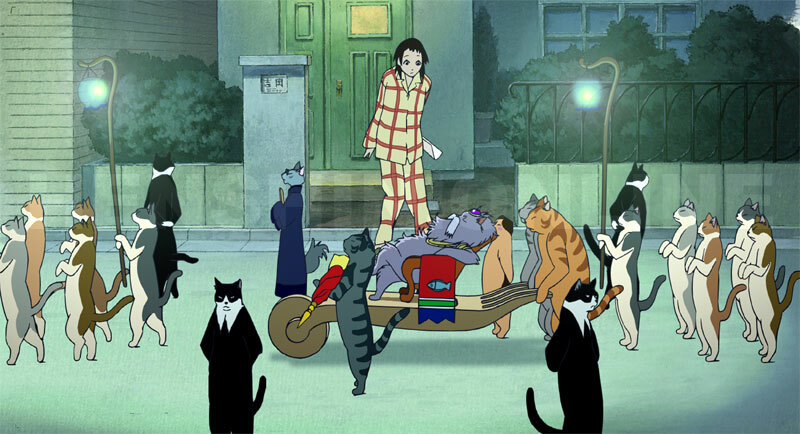 Things become stranger when she meets a coterie of cats that night: cat bodyguards, a spokes-cat, entourage and the Cat King (voiced by Tim Curry: LEGEND, CONGO and CHARLIE’S ANGELS), who uses phrases like, “Thanks babe” or “Chow babe”. It turns out the cat saved earlier was Prince Lune, the son of the Cat King. She gets many gifts in gratitude. “The Kingdom of Cats has vowed not to rest until you are completely satisfied.” However, the cats get it wrong with presents, such as mice, cat-tails and cat nip, but worst of all they want her to marry the Prince. Haru definitely is against this but is unsure what to do. A voice tells her to seek the help of The Cat Bureau. Her adventures really take off as she enters the cat world to prevent her impending nuptials. Directed by Hiroyuki Morita and released in 2002 from the awesome Studio Ghibli (PORCO ROSSO, CASTLE IN THE SKY, MY NEIGHBOUR TOTORO and GRAVEYARD OF THE FIREFLIES), this is another addition to their fantastical canon of work. 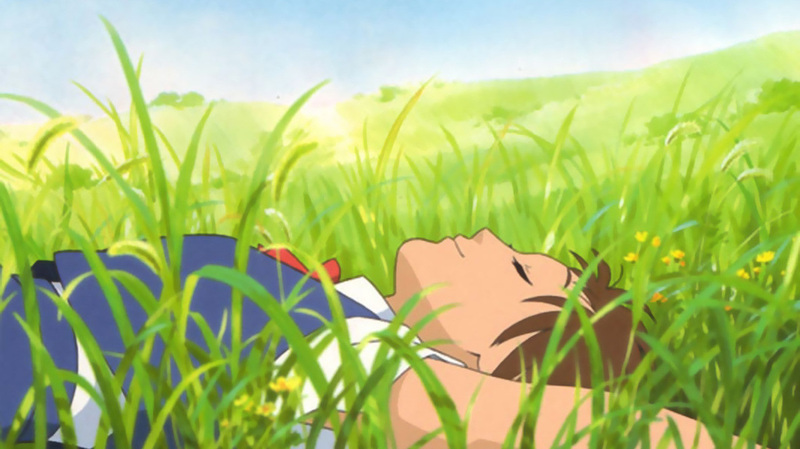 The animation is beautiful, up there with the legendary Hayao Miyazaki. There is so much detail in the backgrounds, and the cinematography is great – such as the afternoon sun; and a real understanding too of the use of light and shadow. 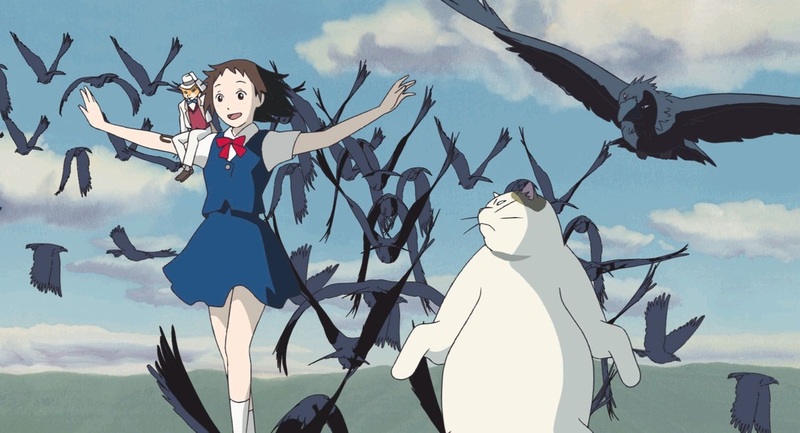 Haru will be kidnapped and forced to marry the Prince, but she needs the help of the three from The Cat Bureau: Baron Humbert, Toto, a stone crow (NB/ Toto is the name of Dorothy’s dog in THE WIZARD OF OZ), and Muta, a large white cat. The life lesson is explicitly expressed in this tale. Muta states that the Cat Kingdom is a dangerous place unless you believe in yourself. The Baron says, “Learn just one thing: always believe in yourself. Do this, and no matter where you are you will have nothing to fear.” Family animations more often than not have a moral or a message for the children to assimilate, but Studio Ghibli tends to not spoon-feed their ideology, making the parable more subtle so that you have to work to understand it, or it enters the subconscious and the mind mulls it over. Having the meaning stated so directly and clearly is not a criticism, but just a possibly interesting comment on Studio Ghibli storytelling methods. 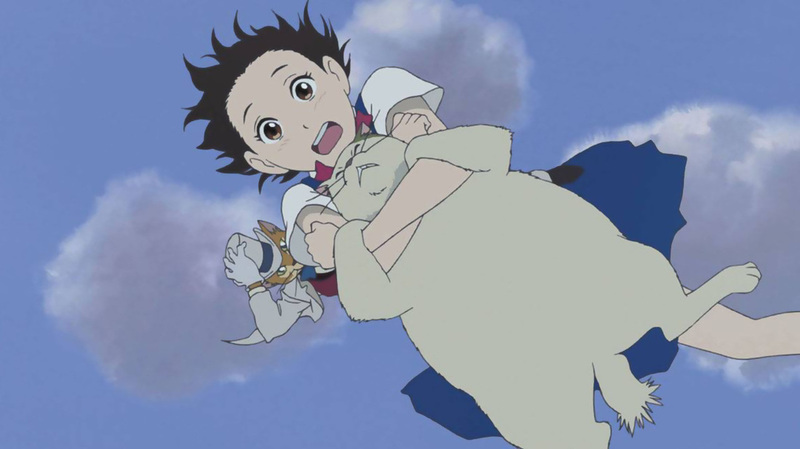 THE CAT RETURNS may not have the artful mise en scène and wondrousness of Miyazaki firing on all cylinders, but it does have excitement, spectacular sequences and some nice one liners. What director Morita does next is sure to be worth catching!